We are pleased to introduce the new Kepma AcoustiFex GO double preamp system for acoustic guitar soundhole installation. Imagine sitting in your living room with your favorite acoustic guitar and hearing stunning reverbs, delay and chorus without being plugged into an amp… that’s exactly what the new Kepma AcoustiFex GO system gives you. The Kepma AcoustiFex GO is a preamp and effects system you can put on your favorite acoustic to enhance your tone and mix in studio-quality effects, all without the need for external amplification. And, when you need to plug in, you get all the available effects and controls right at your fingertips, plus some nifty adjustable tone enhancements to bring out the absolute best in your favorite acoustic. The new Kepma AcoustiFex GO gives you the ability to mix in a room or hall reverb PLUS a delay or chorus effect without the need for external amplification. It has been said by many pro songwriters that the sound they get from the Kepma AcoustiFex GO adds a new level of inspiration for them in the “heat” of the creative process that provides additional jet fuel for their process. And why wouldn’t it? The Kepma AcoustiFex GO gives you a whole new sound perspective on what a pure acoustic should sound like. When you plug your Kepma AcoustiFex GO into an amp or mixing console, your guitar comes into its second life — you’ll hear amazing acoustic sound — the true sound of your guitar — mixed with studio quality effect that will take your playing to a different world. The Kepma AcoustiFex GO combines the clarity and fullness of an under-string magnetic pickup with the warmth, richness and full frequency spectrum of a condenser microphone situated right in the sweet spot. What’s cool about that is you can control the mix between the two with your fingertips, right on the fly. The beauty of the new Kepma AcoustiFex GO system is that you can temporarily install it on any guitar, or do a quick permanent install — everything you need is included. The AcoustiFex GO Owners Guide gives you detailed instructions on the process for both, so either way you’ll be jamming with amazing effects and tone in mere seconds. And without major surgery to your instrument. 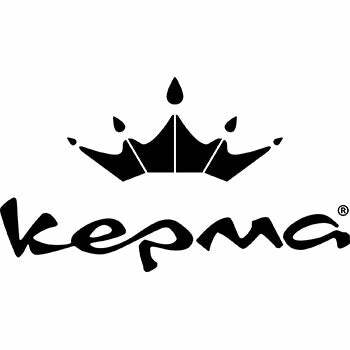 If you have any questions, give us a call or stop by to check out the Kepma AcoustiFex GO double preamp system at Ken Stanton Music and save today. Easy to install — installs in seconds… simply loosen the strings on your guitar, install the transducer element into the inside body of the guitar, mount the soundhole pickup and tighten.